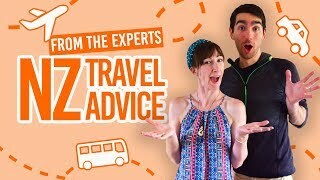 How to get started with the best the road trip of your life! We love a good road trip in New Zealand, purely for these 10 Things We Like About a Road Trip in New Zealand. However, the whole “renting a car or campervan” process can be a bit daunting. 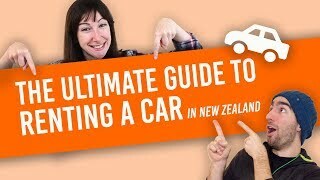 Luckily for you, this guide to renting a car/campervan in New Zealand is a great place to start! 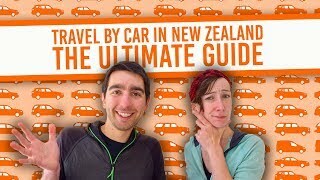 Renting a car/campervan for a road trip in New Zealand presents heaps of advantages, such as 10 Things We Love About Renting a Car in New Zealand, and it is one of the most popular ways to get on the road quickly in New Zealand. To help you go through the process of choosing what type of vehicle to rent, weighing up the costs, choosing a company to rent from, etc. we have compiled this guide so you can start planning your adventure through New Zealand. Do you need a New Zealand driver license to rent a car/campervan in New Zealand? No you don’t! As long as you have one of these, you’ll be sweet! International Driving Permit (IDP): Every car rental company accepts an international driving permit, so we strongly advise you get before coming to New Zealand. Every country has a different process, fee and processing time to issue an international driver license. It can sometimes take up to three weeks, so get started on that early. Find out more in Why You Need an International Driving Permit for New Zealand. Overseas English Driver License: Some car rental companies may also accept your overseas driver license if it is in English and from one of their “selected countries”. New Zealand Driver Licence: Converting your Driver License into a New Zealand Driver Licence is not really a hard or costly process, however it can take up to 2 weeks. 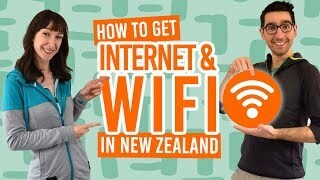 You may want to consider it if you are staying in New Zealand for more than 12 months and/or you want to use it as a valid form of ID, for example, when buying alcohol. Taking on a road trip in New Zealand is not something to approach lightly. You will need to save up to be able to afford all the activities that you have set your mind on. Plus, renting a car in New Zealand can be costly if not well-planned. To help budget properly for renting a vehicle, check out How Much Does it Cost to Rent a Car in New Zealand? Next up, you’ll need to make an itinerary so you know where you are going and what your options are for accommodation, food and activities. An idea of costs can be found in What is the Cost of Backpacking in New Zealand? This can be as rough as it needs to be so you have the flexibility that you want while on the road. However, during the peak season (summer) you will need to stick to a plan as some towns can be fully booked a couple of weeks in advance making it impossible for you to spend the night there at the last minute. Travelling in the shoulder season allows you to be much more flexible, as well as having many more benefits which we outline in 11 Reasons to Travel in the Shoulder and Off-Season in New Zealand. Finally, you’ll need to consider who you will be travelling with: How many of you are here? Are you planning to pick up other travellers along the way? Who will want/be able to drive? All of those will affect your car or campervan rental choices. Choosing the right vehicle is one of the most important parts planning your trip. This will determine how you will travel and where you will be sleeping during your whole road trip. One of the most common questions asked is What is the best type of vehicle to rent for a road trip in New Zealand? But there is a much simpler and straight forward one that should come first: Should You Rent a Campervan or Car in New Zealand? There is no right or wrong answer here. Every company has their advantages and disadvantages. In fact, it can be quite tricky to compare your options. To help you out on that one we have made a guide on How to Compare Car and Campervan Rental Companies in New Zealand. You will have to take into account a whole range of criteria far beyond simply comparing prices, from services to age limit, availability to vehicle types, and inclusions to insurance costs. You are in for a few hours of intense comparison and decision-making. We think that the huge amount of car and campervan rental companies in New Zealand is a blessing in disguise. There is no need to compromise, if a company does not suit you, scrap it and pass on to the next one. There is bound to be one that will fit all your criteria. But first check out our 20 Ways To Save Money on Car Rental in New Zealand so you don’t have any regrets. When booking your car or campervan, you will either have to pay for your booking in full or have to only pay a deposit. Be aware that most deposits are non-refundable. Either way, before picking up your vehicle, you’ll have to pay the bill. In New Zealand you will be asked to pay for your rental before starting your trip, not when dropping off the vehicle. We also suggest you don’t go too crazy on the options that you would like to add to your rental when booking. All can be added on pick-up, even your insurance. So if you are unsure about the cover offered by your credit card company for rental, for instance, just book your car or campervan rental without insurance and add it on at pick-up if necessary. Same goes for every other add-on. Don’t worry, the car or campervan rental company will be happy to up-sell you on the spot if you decide to add something to your booking. Step 5: Have a blast on the road! You are in for a treat! After carefully inspecting your vehicle on pick-up and marking every dent, crack, mark and chip on the pick-up rental sheet, you are off to the most breathtaking road trip of your life. Dramatic landscapes, adventurous activities are at every turn of the road! Speaking of turns, the roads of New Zealand are slightly different that what you may be used to back in your home country so do yourself a favour and browse our 12 Safe Driving Tips for New Zealand and How to Drive in New Zealand so you know what to expect. Take your time on the road – a great road trip in New Zealand is not measured in distance but by memories.